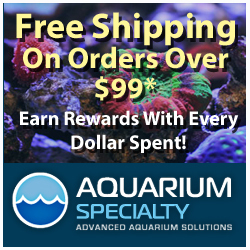 Like most hobbyists, I’ve got my fair share of aquariums to take care of, both at home and at the office. Because of this, simplicity has been paramount to maintaining my sanity, keeping costs down, and not becoming overwhelmed with maintenance tasks. 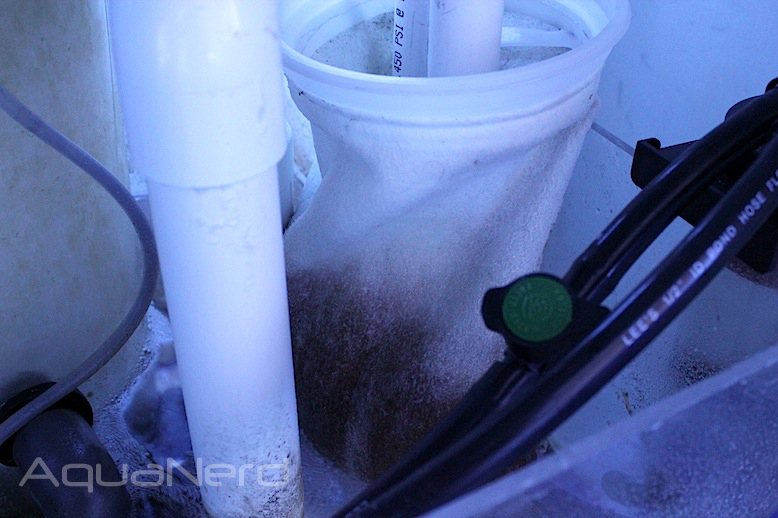 To streamline my day-to-day maintenance, I sort of avoided the use of things like filter socks, as they need to be replaced every few days, and instead relied on regular water changes and quality aquarium equipment to handle detritus and other organic material. 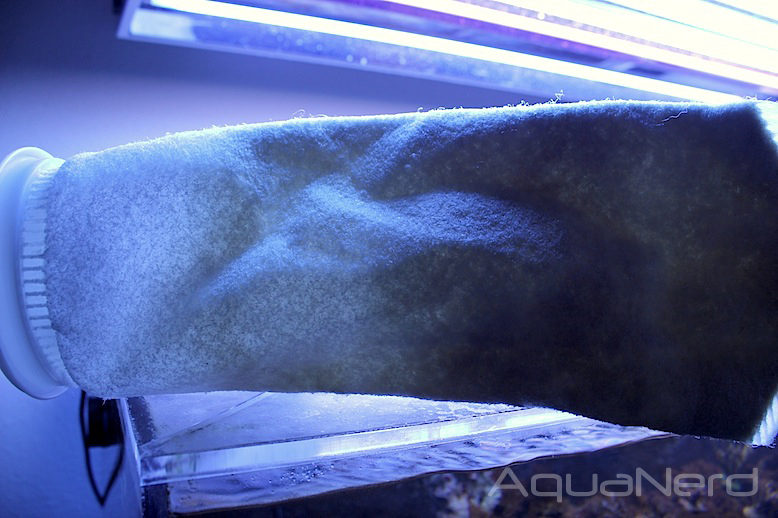 A couple of days ago, however, I got a healthy reminder about just how important and useful a good filter sock can be in a functioning reef aquarium. As some of you may recall, I ended my personal biopellet experiment due to the lack of results that were promised by the media’s use. To counteract any spike in nitrate and phosphate that might follow, I added GFO to a small reactor and upped my water change frequency from bi-weekly to weekly. Unfortunately, I got one unexpected side effect that the increased water changes didn’t seem to tackle. During the nighttime hours, the tank was getting a brown cloudiness that I just couldn’t explain. At first I thought it was the GFO being pulverized and sent into the aquarium. That idea was later ruled out because the GFO granules weren’t tumbling in the reactor even in the slightest bit, and the media was thoroughly rinsed in RO/DI water before it was put into use. Not to mention, the cloudiness seemed to be time and/or light dependent. After a couple of days, I began to assume there was just a blooming algae taking over, though I had no idea why it was happening only at night. During the day, the cloudiness would disappear for the most part, and I just couldn’t wrap my mind around the issue. After a few more days, I became increasingly tired and concerned with the cloudiness, so I took a water sample to the local fish store to see if my test kits weren’t telling me the actual story. After the water tests came back fine, reconfirming my own test kits in the process, I decided to pick up a filter sock as a last ditch effort to remove whatever was in the water. I put the sock on as soon as I got home and turned off the protein skimmer since the new sock would cause it to overflow. The filter sock was left on over night, and at one point I decided to break out the flashlight to see if the cloudiness was still present. To my surprise, the tank was completely clear. The sock was basically clogged, so I removed it for cleaning. While the sock was off, a little cloudiness returned, but another sock was put on to prevent it from getting out of control. To this day, I’m still not 100% sure what is causing the cloudiness, and it still persists to a minor extent. I’m not ruling out the GFO as the source, but I’ve also noticed some digging behavior from one of my fish that I’ve never noticed before. So there’s a good possibility that the fish is really stirring up the water, though I’m hardly convinced that the single fish and it’s minor burrowing is the cause. I’ll continue to track down what the cause of the cloudiness may be, but until then I’ll keep using the filter socks. They may be a headache to clean and maintain, but boy do they work.